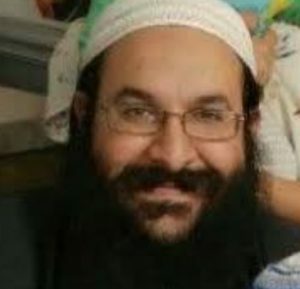 An Israeli settler, identified as 35-year old Rabbi Raziel Shevach, was shot and killed Tuesday while driving on an Israeli settler-only road near a colonial outpost in the northern part of the West Bank, near Nablus. Israeli Education Minister, Naftali Bennett, the head of the ‘Jewish Home’ right-wing party, called for legalizing Havat Gilad outpost, and for conducting massive construction and expansion of Israeli colonies, in the occupied West Bank. Israeli Justice Minister Ayelet Shaked also called for harsh measures, and said that Israel needs to expel the families of Palestinian attackers, and demolish their homes. In addition, Israeli Minister of Science, Technology and Space, Ofir Akunis, said that Israel must approve the final reading of the application of capital punishment for Palestinians involved in killing Israelis. “I don’t want to even hear from those who oppose the death penalty for Palestinian attackers,” he said. The Israeli daily Ha’aretz reported that Dr. Guy Elad, a doctor at the Meir Medical Center, told their reporter that the victim “arrived at the hospital without a pulse, with no breath and no life signals. 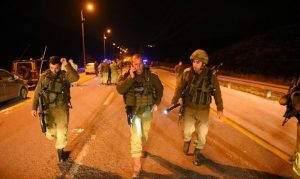 The gunman or gunmen who fired the fatal shots fled the scene, and Israeli forces have locked down all nearby Palestinian villages and towns, preventing Palestinian civilians from going anywhere outside their homes. The soldiers are also conducting house-to-house searches in the town of Jit, which is the town whose land was illegally annexed by Israel, to construct the Israeli settler-only road, and the colonialist outpost of Havat Gilad. In addition, the Israeli military has closed the entrances to the city of Nablus, and are preventing all entry and exit from the city. The closure wreaked havoc on the evening commute for students and workers, many of whom were forced to remain in their workplaces or schools overnight after being prevented from returning home. 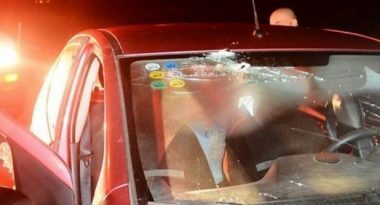 Shevach, who lived in Havat Gilad, was driving on Route 60, which is a major Israeli highway constructed on Palestinian land in the West Bank, when he was shot at by a passing vehicle. Palestinians are forbidden from driving on Route 60 without first obtaining hard-to-get Israeli permits. Even with permits, Palestinian drivers are frequently subjected to stops and seizures of their vehicles and licenses by Israeli police and soldiers when they drive on Route 60 and other colonial Israeli byways. Following the fatal shooting, the Israeli army imposed a strict siege on all villages and towns in the Nablus governorate, and invaded many villages, such as Sorra, Iraq-Burin, and all southern area, including the New Nablus, al-Makhfiyya, before initiating extensive searches and confiscated surveillance tapes and equipment. The army deployed a large number of soldiers in Nablus, in addition to calling for more military units to operate in the governorate, in preparation for a massive invasion and military operations. Israeli media outlets said that the military received orders for carrying out a large-scale military operation, inside many villages and towns, in Nablus. Meanwhile, dozens of colonist settlers closed Yitzhar road, while dozens more gathers at the Huwwara military roadblock, south of Nablus, before throwing rocks at dozens of Palestinian cars. Palestinian medical sources said a young man, from ‘Awarta village, suffered various cuts and bruises after being attack by Israeli colonists. It is worth mentioning that the Israeli army have killed 32 Palestinians, including two children, since early October 2017. Shevach is the first Israeli casualty since then.